July 12-14, 2013 Sky Harbor Airport Come for Fun! Those two instructors were Tony and Roger Jannus. They brought the Lark back to St. Louis to lengthen the wings. After the modifications were completed, they brought her to St. Petersburg, Florida to develop the St. Petersburg-Tampa Airboat Line. The Lark arrived on December 31, 1913 by rail and on January 1, 1914, flew the inaugural flight of the first commercial air ship line. the inaugural flight of the first commercial air ship line. In addition to the scheduled flights, about 100 charter and sightseeing flights were reported in the two airboats. An estimated $12,000 in fares was taken in, but the freight cost of getting the planes to Florida, employees wages, gas and oil allowed only a small profit. The last official airline flight was made on May 5, 1914. The Lark of Duluth returned to Duluth the following summer for another Lark O’ the Lake Carnival. Roger Jannus toured throughout the surrounding territory conducting general exhibition and passenger service. 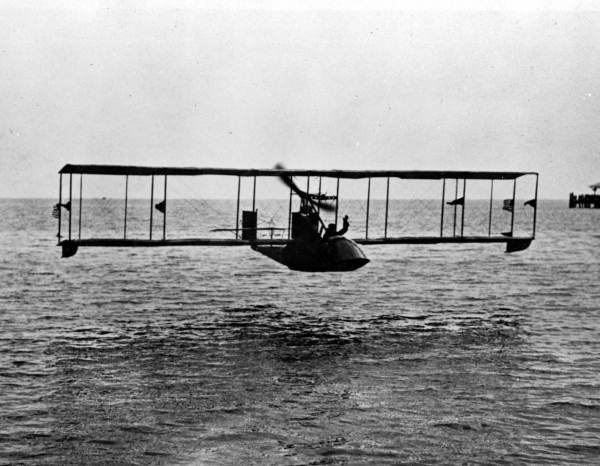 Julius Barnes, The Lark of Duluth, the Jannus pilots and the Benoist Aircraft Company inspire a new economy of air travel. Although St. Petersburg, Florida takes credit for her flight and proudly displays her replica in their museum, Duluthians now know it truly began in the hearts of men and on the shores of Lake Superior.